Over the last decade, the world has witnessed a series of increasingly devastating natural disasters. These disaster threats were further aggravated due to various social, economic and environmental trends, such as, growing population, urbanisation, and global environmental change. As we seek a more proactive approach to reduce the vulnerability and exposure, and to increase resilience, there is a growing recognition that those responsible for the built environment have a vital role to play in developing societal resilience to disasters. This editorial considers the vital role of construction and property professionals in contributing to the development of societal resilience to disasters. 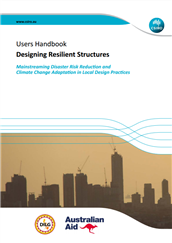 In supporting this, the editorial documents some of the key knowledge themes and gaps that must be addressed for mainstreaming disaster resilience concepts within construction and property, and sets out a series of recommendations to mainstream disaster resilience in the construction process. With growing population and infrastructures, the world’s exposure to hazards is increasing. A major mitigating factor to disaster risk is capacity. This capacity needs to be deployed before and after the hazard visits a community. Effective mitigation and preparedness can greatly reduce the threat posed by hazards of all types, while the post-disaster response can impact the loss of life, and timely reconstruction can minimize the broader economic and social damage. The importance of tackling disaster risk is highlighted in all three of the major global agreements that were finalized in 2015: Sendai Framework for Disaster Risk Reduction 2015 - 2030, Climate Change (COP21), and the Sustainable Development Goals. 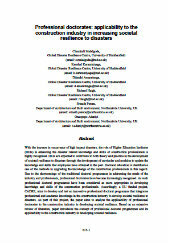 The term resilience has been adopted by many policy makers in an attempt to describe the way in which they would like to reduce a nation’s susceptibility to major incidents of all kinds by reducing their probability of occurring and their likely effects, and by building institutions and structures in such a way as to minimise any possible effects of disruption upon them. There has been growing recognition that the construction industry and associated built environment professions are a vital component of this capacity and that the construction industry has a much broader role to anticipate, assess, prevent, prepare, respond, and recover from a disaster. The scale, size and impact of the built environment cannot be ignored. In the UK for example, construction is one of the largest sectors of the economy. It contributes almost £90 billion to the UK economy (or 6.7%) in value added, comprises over 280,000 businesses covering some 2.93 million jobs, which is equivalent to about 10% of total UK employment[ii]. It generates about 9% of gross domestic product (GDP) in the European Union and provides 18 million direct jobs. The European Union’s internal market offers international partners access to more than 500 million people and approximately EUR 13 trillion in GDP[iii]. As a major consumer of services and intermediate products such as raw materials, chemicals or electrical equipment, construction impacts many other economic sectors. Learn from previous hazard events. “At every stage, the built environment professions have invaluable expertise and a key role to play. Working in multi-disciplinary teams and with local partners and intermediaries is essential. This kind of activity requires a special and new set of professional skills that need to be shared across all the built environment professions”[v]. “In addition, new skills are needed to work with the very poor communities who are worst affected by disasters, or with the agencies and intermediaries who are engaged with them. Major disasters hit poor communities hardest, both in terms of numbers immediately affected and through prolonged suffering during reconstruction”[vi]. 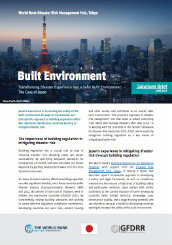 Although more robust construction in and of itself will not eliminate the consequences of disruptive events, there is widespread recognition that the built environment community has a valuable role to play in finding and promoting rational, balanced solutions to what remains an unbounded threat. 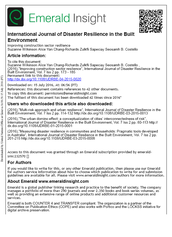 The research team conducted a detailed study to capture labour market requirements for disaster resilience and its interface with the construction industry and its professionals. 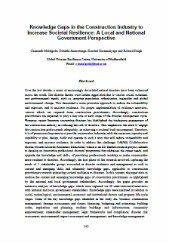 Built environment stakeholders: National and local government organisations; Community; NGOs, INGOs and other international agencies; Academia and research organisations; and Private sector. 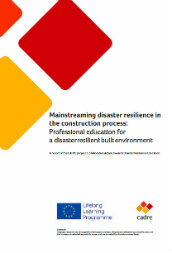 The framework was developed through an extensive consultation process and was refined throughout with the emerging literature findings and the opinion of stakeholders who has been interviewed to capture the labour market demands in construction industry to increase societal resilience to disasters. 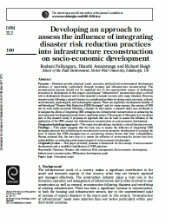 Accordingly, the initial investigation aimed at capturing the needs of five stakeholder groups (local and national government, the community, NGOs, INGOs and other international agencies, academia and research organisations, and the private sector) involved in disaster resilience and management, and current and emerging skills for built environment professionals that could contribute to enhancing societal resilience to disasters across the property cycle. All needs and skills are categorised into five dimensions of resilience (Social, Economic, Institutional, Environmental, Technological). There have been growing calls for greater engagement of the construction industry in disaster resilience building efforts. This editorial highlights the gaps in the knowledge base of construction professionals that are undermining their ability to contribute to the development of a more disaster resilient society. Construction of the built environment can contribute to societal resilience through the product and as a process. Accordingly, the knowledge gaps identified have informed the development of a professional doctorate programme that can update the knowledge and skills of construction professionals in the industry. 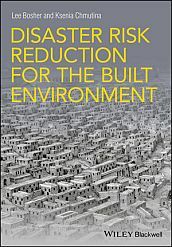 Below are some further recommendations to key actors in the built environment on how to more effectively mainstream disaster resilience in the construction process and are detailed below. The higher education sector plays a significant role in any capacity development strategy. Lifelong learning, Undergraduate, Masters, Doctoral, Continuous professional development, Research and International cooperation are the strategies that enable higher education in addressing the identified knowledge gaps and developing capacity among built environment professionals for disaster resilience building. This includes the design and delivery of educational programmes, and the development and dissemination of new knowledge. The educational programme addresses the problems from the field and can promote affordable solutions, as per local context, including the cultural calibration of technology. Furthermore, to make scientific results more relevant and actionable, policy makers and practitioners should join with construction and property groups in higher education to form multi stakeholder groups that work together from the outset to design and deliver new knowledge. It is important that educational programmes promote a multi-disciplinary approach and understanding, and higher education must develop flexible and customised programmes and curricula, whether a module in regular Masters or Undergraduate curriculum, or as dedicated postgraduate programmes such as Professional Doctorates. At the same time, built environment research and education must pay attention to an all-hazard, problem-focused approach to address the complexity of disaster risk, which will require collaboration and communication across the scientific disciplines. Furthermore, it is important to note that much disaster knowledge has been developed at an abstract level, or based on a specific context. Public engagement therefore can help to calibrate knowledge to a local context, extending the impact and reach of existing research. The recent shift towards open access of research outputs and education is to be welcomed and should continue to be encouraged. Higher education should be supported to develop open educational resources that are freely accessible and openly licensed, for use in teaching, learning, and assessing as well as for research purposes linked to building resilience. Policy: Through the UN Words into Action process, one or more implementation guides should be developed on construction policy and practice. These guides can be used as practical guidance to support implementation, ensure engagement and ownership of action by all construction industry stakeholders. They should translate the global targets and four priorities into meaningful actions that can be adopted by the various actors in the construction industry, including professional bodies, industry regulators, clients, and construction and property companies. 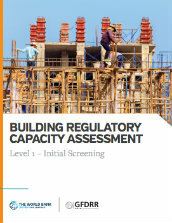 Practice: It is vital that construction and property professional bodies continuously update the accreditation or services needed to identify and verify expertise in weak or emerging new areas of practice highlighted as knowledge gaps. All professional bodies have created a set of professional and ethical standards to guide their members and it is also important that disaster resilience too is a part of ethics and professional standards. Furthermore, regulatory frameworks are required for reconstruction following large-scale disasters and professionals associated with construction and property sectors need to contribute to the development and implementation of such regulatory frameworks. Whilst routine and sometimes existing construction processes have often proved adequate for smaller scale disasters, a greater degree of coordination is required for programmes of reconstruction following a larger disaster and these must be addressed through formal regulatory frameworks. Research: Knowledge integration provides a starting point for building and operationalising resilience through the co-design of policies and interventions by scientists, practitioners, policy makers and communities themselves. Standardised definitions are essential to the operationalization of concepts such as resilience for research, monitoring and implementation purposes. As such, the research community must increase efforts to translate traditional outputs into practical methods that can readily be integrated into policies, regulations and implementation plans towards building resilience. To this end, collaboration across disciplines is essential. There are already a number of regional initiatives that promote collaboration among higher education towards building resilience. These networks and events have helped to gather a wide and advanced set of competencies in the field of disaster resilience. These networks should be supported and encouraged to grow. In doing so, funding bodies for science should coordinate their efforts to ensure that resources are being deployed effectively and efficiently, and to promote collaboration across disciplines, as well as regionally and internationally. This will help to avoid duplication of efforts and integrate funding. The volume of built environment research activity and associated outputs has rapidly increased over recent decades. Therefore, identifying and accessing the most recent and high quality science is proving increasingly challenging despite the advance of technology. This highlights the importance of aggregating to improve access and focus on quality. Cross cutting: Research studies document a trend of increasing disaster losses, but the translation of research findings into practical actions has proven difficult and remains a barrier that prevents the best use of science. This highlights the importance of linking research, education and practice and there is a need for construction and property groups in higher education, to provide and communicate actionable knowledge with explicit links to inform effective, evidence-based decision-making. On the other hand, scientific results are often subject to misunderstanding due to poor comprehension of numbers and statistics, as well as conflicting languages and terminology. Therefore, educators and the research community should invest time and effort to understand the audience they are seeking to inform. Also, it is important to add information to help readers better understand the strengths and limitations of the scientific evidence. Professional education for a resilient built environment. 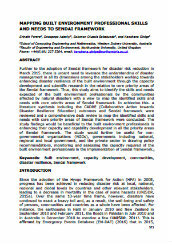 A report of the CADRE project: Collaborative Action towards Disaster Resilience Education. Wilkinson, S., Chang-Richards, A., Sapeciay, Z. & Costello, S. (2016). [i] United Nations International Strategy for Disaster Reduction (2015). Sendai framework for disaster risk reduction 2015–2030. 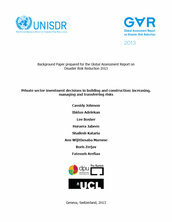 Geneva: UNISDR. 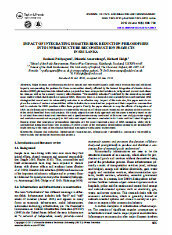 [ii] Department for Business Innovation & Skills (2013) UK Construction: An economic analysis of the sector, July 2013. [iii] Internal Market, Industry, Entrepreneurship and SMEs Directorate (2016) The European construction sector: a global partner, European Union. [iv] RICS (2015) Our changing world: let’s be ready, RICS.